"My father loved all of his fans. He was the greatest, most decent man." Born Stanley Martin Lieber on December 28th, 1922, our favorite cameo-master was a fellow New Yorker. Many of his creations were based in New York and, I’m sure, that could have done nothing but add to the mystique that surrounds the city. Interestingly enough, Stan was also an artist. In 1942, he joined the Army’s Signal Corps Training Film Division. There he wrote and drew cartoons, training film scripts and instruction manuals. After leaving the Army in ‘45, Stan became a mainstay at Atlas Comics, which became Marvel Comics. It was there he created or co-created The Fantastic Four, The Incredible Hulk, Iron Man, and Thor amongst others with friend and co-worker Jack Kirby, a legend in his own right. Stan Lee’s first cameo was in 1989’s The Trial of The Incredible Hulk. Since then he’s amassed a huge amount of credits in various superhero films including DC’s Teen Titans GO! To The Movies. His face is now instantly recognizable to both long-time comic readers and casual film-goers alike. He passed away at the age of 95, Lee’s daughter, J.C. Lee told TMZ, at Cedars-Sanai Medical Center on Monday, November 12th, 2018. His wife of 70 years passed away in 2017, and even through rumors of elder abuse by those around him, he continued to be a beacon to fans around the globe. I was born in Jamaica. Not Queens, NY. The island. I was raised in Brooklyn, but spent time in Jamaica. It’s interesting to me that it was there I met Stan Lee and not here. When I say met, I don’t mean physically, but in some ways it might as well have been. Stan Lee’s contributions as a writer and creator/co-creator are a large part of the pie chart that describes where my sense of duty, justice and even morality come from. He’s one of the reasons this site exists. Spider-Man and Batman are my two absolute favorite superheroes and, well, we all know who Spider-Man was to Stan Lee. 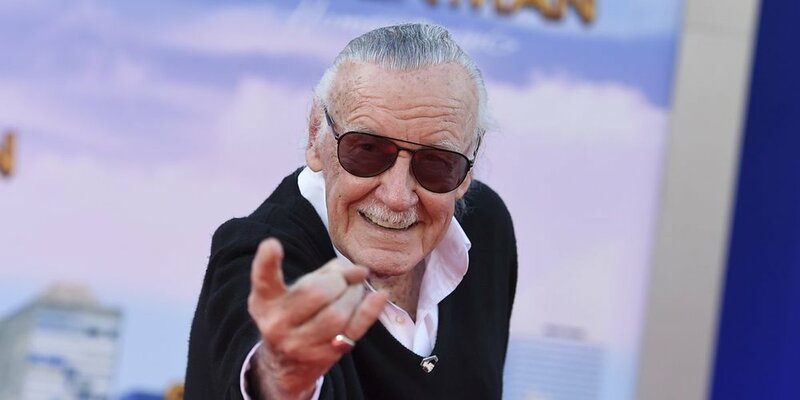 Thank you, Stan. For everything. Rest in power.